The next seven days will tell us a lot about where this Ireland team is. They came into this tournament in buoyant form but, five weeks on, they are floundering. 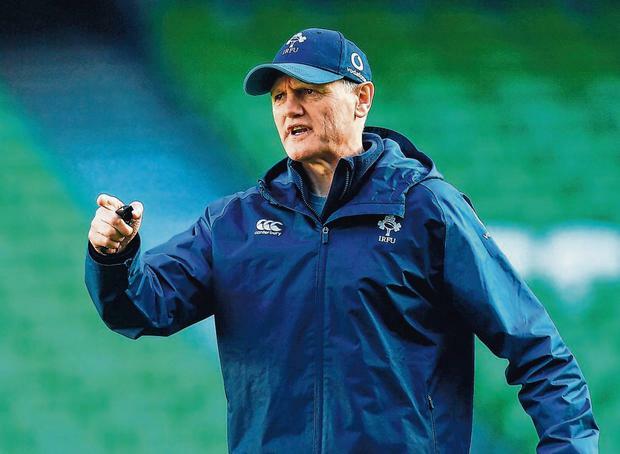 Joe Schmidt yesterday named what is increasingly looking like his first-choice team; now he wants a first-rate display. The coach cut a downbeat figure at his team announcement, as if he's been drained by the team's search for form through this tournament. He has been up-front about their problems, but he wants a line drawn and solutions to be found. Before the Six Nations, he warned that, while a successful Championship wouldn't necessarily guarantee World Cup success, a poor one could diffuse momentum and hamper the campaign in Japan. Since those comments his team had their belief punctured by England and, while they've picked up nine points on the road in the subsequent games, they have not found their flow. He has stressed that building depth has been part of his remit in this year's tournament but this six-day finish will underwrite the mood for the coming months as the big show looms firmly into view. Although the displays have been disquieting, most observers have remained relatively calm, trusting in the team of 2018 to turn things around. If they come up short and lose a second home game in a row then the panic stations will open; fans will have a licence to worry. Whatever comfort they can draw from their recent good results against France is undermined by the fact that this is a new-look team. Les Bleus should have beaten Wales but imploded, got hammered by England and then beat Scotland with the kind of restorative display that will have them landing in Dublin with a pep in their step. For all of that, they remain a wildly inconsistent team, light on experience and leadership, with a callow, if talented, half-back pairing, led by an unimpressive head coach who is being undermined from above. Ireland need to cut out the errors and figure out a way of avoiding their first-half slumps. Their leaders must have a positive influence on those around them and they need to bring a positive energy from the start. France will arrive with nothing to lose. The hosts are 13-point favourites, but they've been playing with the weight of the world on their shoulders. Their mission is to harness the crowd's support rather than be burdened by the expectation. "I'm hoping that the weather holds out," Schmidt said. "They (France) are not going to play within themselves I don't think - I think they're coming to play. Likewise, I don't think we'll try to play within ourselves. "I've had four appeals over the last couple of days from people looking for tickets and I think the enthusiasm of our support has not changed and we're incredibly appreciative of that. "We know in those last 10 minutes against England, it's hard to be really behind the team when the team's out of the game." "We've got to get into this game, stay in this game and then we keep the crowd with us. It's a responsibility we're conscious of and one I hope we deliver on." Ireland insist training has gone well, but they said the same thing before the last three games. Their game-plan has not changed, but their execution levels have fallen well below their 2018 standards. The axe has fallen on some of those responsible, others have retained the coach's faith. Nobody will feel safe within the set-up. The return of Rory Best may bring security to the set-piece, but this combination struggled out of touch when it last took the field against Argentina. With 6ft 6in flanker Arthur Iturria complementing second-rows Felix Lambey and Sebastien Vahaamahina, France will look to apply maximum pressure on the captain's throw. The scrum remains a source of strength, while they'll hope the addition of CJ Stander and the refreshed Cian Healy, James Ryan, Iain Henderson and Josh van der Flier will ramp up the pace of their carrying game and look to provide quick ball at the ruck. Behind the scrum, Garry Ringrose will add attacking nous and defensive intelligence, but much will depend on the performance of half-backs Conor Murray and Johnny Sexton. They should dominate their vastly less experienced opposite numbers on paper, but that would require a turnaround in form. That's what the whole team is after. If it doesn't materialise, then the World Cup worries will only grow.